Stephen Patrick O’Hara, our loving son, brother, and grandson of Weymouth, passed away suddenly on Sunday August 12, 2018 at the age of 30. 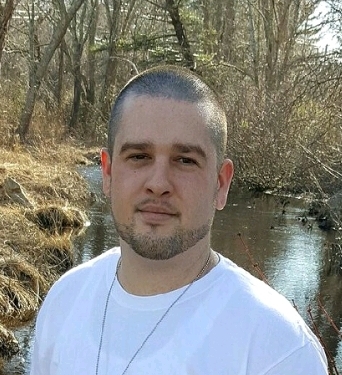 He was born in Weymouth to Kim O’Hara-Wise and Christopher Herr and grew up in East Bridgewater. Stephen lived everyday of his life to the fullest. His brother Christopher and his multitude of friends were always by his side. Fishing, swimming, baseball, and being with his friends were his greatest pleasures. His sense of adventure always kept him inspired to explore new places. His outgoing love of people and kind heartedness drove him to make friends wherever he went. He worked hard over the years doing fencing and all kinds of woodwork. Most recently he started a career as a concrete tester and took great satisfaction in doing his job well. Stephen is survived by his grandparents, Richard and Althea O’Hara of Weymouth, his mother and step-father, Kim and Thomas Wise of Middleboro, his brother, Christopher O’Hara of East Bridgewater, along with his niece Evelyn O’Hara whom he adored, his great uncle and aunt, Charles and Seater O’Hara of Dorchester, and his father, Christopher Herr of Woonsocket, RI., and many cousins. Visiting hours will be held at the Quealy & Son Funeral Home 116 Adams Street, Abington on Friday August 17 from 4 to 7pm, followed by a prayer service at 7pm for family and friends. Interment will be private.